PROSPECT PARK, Brooklyn (WABC) -- A wildlife group is asking city parkgoers to be on the lookout after a group of women tried to steal turtles from Prospect Park. "Wild Prospect Park" posted a photo to Facebook. They say a group of five women were by the lake near park circle, luring turtles out of the water and bagging them up. A bystander saw what was happening and stopped them. 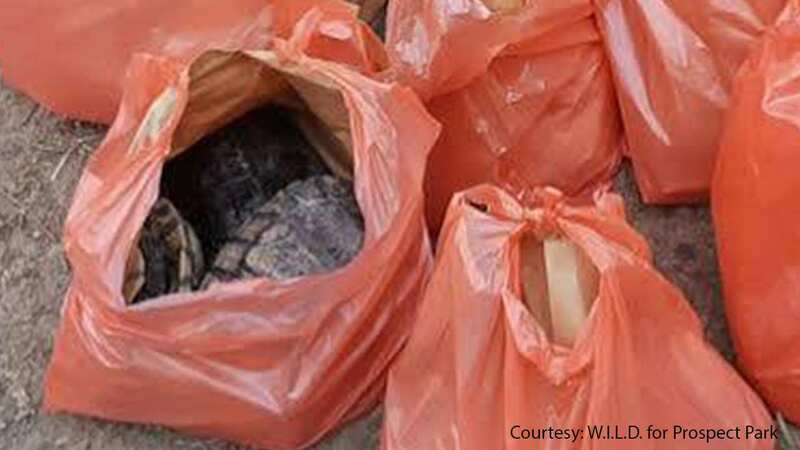 The group says nine bags of turtles were found.